kegemaran movie that Emily has been in? kegemaran hair color for Emily? Who wants to sertai the Stephen Amell & Emily Bett Rickards Spot? Do anda like Emily's character (Felicity) in Arrow? "If you’ve ever watched an episode of Arrow, anda already know that Emily Bett Rickards thrives in emotional moments. Simply seeing her on screen crying is enough for us to reach for a box of tissues. 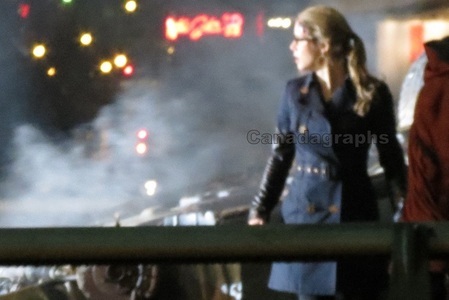 Although she’s in a superhero short, Rickards plays a character far from Felicity Smoak. À L'OCCASION D'UNE CONVENTION EN FRANCE REGROUPANT LES SÉRIES Arrow ET THE FLASH, EMILY BETT RICKARDS A RÉPONDU À NOS soalan LORS D'UNE INTERVIEW CONCERNANT L'AVENIR DE LA TEAM ARROW, CELUI DE SON PERSONNAGE MAIS AUSSI CELUI D'OLICITY ! DÉCOUVREZ NOTRE RENCONTRE AVEC L'INTERPRÈTE DE FELICITY SMOAK ! Season Two Episode 20: Seeing Red. Season Two Episode 19: The Man Under the Hood. Season Two Episode 21: City of Blood. Season Two Episode 22: Streets of Fire.